If you’re interested in where we are with mLearning in 2018 and how to implement it effectively, here’s our complete guide to mobile learning today. We include a recap of what mlearning means, and the latest content design and strategy best practices. If you want to deliver online education or training in a manner that’s easy and convenient for your learners to access, then mobile is the way to go. Smartphone and tablets are now everywhere and as detailed in this comScore study from 2015, use of mobile internet usage has skyrocketed since 2010, now exceeding desktop as a digital platform. There is certainly still a time and a place for traditional, classroom-based learning, especially where lively, face to face debate needs to be governed or where manual skills are developed. However, easy to use, bite-sized training modules and ‘learning at the speed of need‘ can be most effective when it’s highly accessible and done in the manner with which the learner feels most ready and comfortable. Mobile learning can make this possible and can be the best way to absorb facts and figures or take new knowledge into a workplace environment straight away. Our definition of mLearning is the use of mobile technology to make learning materials accessible and effective at a time and place convenient to the learner. What mlearning means has been widely debated for over a decade, with many arguing that mobile learning is completely distinct from eLearning. We need to remember that the ‘e’ in eLearning is for ‘electronic’. Therefore, can we justify the statement that the difference between mlearning and elearning is as stark as the difference between elearning and face to face, instructor-led learning? A simple way to define mobile learning could be to say that it is learning at a time and place that is convenient for and accessible to the learner. That would make mobility the key element, rather than the device used, so a book could deliver mobile learning. However, if we’re looking at ‘learning at the speed of need’, is that book always there? What is in every pocket is a mobile phone – at least for the majority of us. Studies have shown that there are 6.8 billion mobile phone subscriptions worldwide – nearly as many as there are people. The number of distinct mobile phone users is expected by many studies to surpass the 5 billion mark during 2017. While this figure is inflated by the fact that in the richest countries there multiple subscriptions for each person – 121 subscriptions per 100 people in Monaco for example – in even the poorest countries, the majority now have access to a mobile phone. In the continent of Africa, there are 63.5 subscriptions per 100 people. e-Learning has taken education and training into the world of computing. 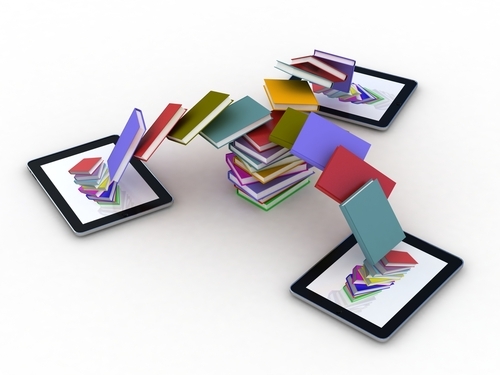 m-Learning has taken it a stage further, increasing the portability of e-learning. As discussed on this article from 2010 – m-learning is not just e-learning on a mobile phone and that’s an important point to remember. When discussing mobile learning technology, we tend to think of a screen, so the portable devices considered are usually smartphone, tablet computers and to a lesser extent, laptop computers or notebooks. However, audio-only devices are a very important consideration, so MP3 players, iPods etc, car stereos (think Zig Ziglar’s automobile university) and the mobile phone as an audio device all enable learning on the go. Mobile learning technologies are any devices that increase the accessibility of learning materials in a manner that’s effective. For HR or learning and development professionals, mobile learning technology will be seen as a platform such as a learning management system (LMS) or an elearning app. The latest systems will be mobile friendly by default, in that they will work well on any device. However, how well considered they are for the unique requirements and mindsets of mobile users will still vary considerably. You can read about Learning Light’s help choosing an LMS here or call our experts on +44 (0)114 307 2357 for an informal discussion of your needs. As long as you have an internet-ready device and connectivity, the benefits of mlearning are that you can learn anything, anytime and anywhere. If someone has gained and shared knowledge freely online, anybody can find and learn it themselves if they are willing to look for it. This development has removed many of the cost and location based barriers to learning. Distance learning has for decades enabled people in locations remote from established education and training establishments to learn with those establishments. The mobile learning advantages are in an enhanced ability to access and interact with materials in not only remote locations, but changing locations, creating flexibility at speed. Naturally, this ability is more valuable for certain sectors, user-types and circumstances. Nowhere does mlearning have greater impact than in the life or death environments of defence and the work of central intelligence agencies. Military personnel can gain up to date, even live, information on their current environment and recommended actions. The falling costs and increasing portability of learning materials has led to military organisations being considerable investors in mlearning. There are other sectors where frequently-changing circumstances make mobile learning highly preferable to more rigid, traditional training methods. Retail is such a field, as product ranges often change and up to date product knowledge is more about remembering facts and figures, rather than skills development. A classroom environment with your peers could be distracting, while learning when and where staff can concentrate could make elearning more effective for retailers who need to share new knowledge fast. Just in Time learning is one of the main benefits of mlearning. Furthermore, as retail staff are often relatively young, they are likely to not just be comfortable in learning on a mobile device but be much more at home on one. A related fact with a younger workforce is higher staff turnover, so adopting elearning and mlearning as opposed to face to face, instructor led training that requires the hire of expensive facilities and trainers can be desirable as a cost-saving measure. Mobile learning is often discussed in the context of being an alternative to the classroom, but many believe that it can actually supplement and enhance education and training in the classroom. The traditional classroom has many restrictions – there is a finite amount of textbooks that students can carry and that teachers can refer to. The teacher of instructor can use multimedia materials, such as video and blackboard or slideshow presentation, but these are left in the classroom. The student may be able to use a computer, but the device would be left there even if something similar is available at home, it may be different. Using mobile learning in the classroom can help with continuity when continuing learning elsewhere. Classroom education and training can evolve with access to endless additional materials on the fly. An instructor can signpost materials that the device makes more accessible to an individual due to customisation. Screen readers for example can convert any text to audio or change the size and contrast. Using the mobile device as a launchpad, an individual student can go from the starting point created by the teacher or instructor and further their learning using media that they enjoy or find more effective, such as YouTube videos or podcasts instead of text. Peer to peer collaboration can continue beyond the classroom as mobile technologies make social learning possible, and even easy and fun, in a manner with which many learners are already very comfortable. In this way, mlearning can be a very different and sometimes more powerful way, for new ideas to develop and snowball into innovation. It’s easy to see mlearning as the holy grail for a richer classroom experience and continued learning elsewhere. However, it’s up to teachers and instructors to understand their learners and ensure that the addition of mobile technology does not add distraction or create undue exclusivity and disparity of opportunity to succeed. Do all your learners have access to materials and collaboration tools of similar quality and connectivity. The digital divide still exists and while mobile phones are virtually ubiquitous, not all devices are created equally. When it comes to school education, not all children have mobile devices or are encouraged to use them without restriction. It’s also up to those who facilitate learning to judge whether or not mobile technology adds great value or creates too much distraction, with unrelated content, chat or games just a click away. Are they comfortable with mobile technologies? Will they be willing and able to use the content? An older workforce may be less happy with the idea and shy away from using it, whereas millenials may spend several hours each day using their phones for social media, and feel more than comfortable using mobile platforms. It’s up to learning and development managers to make the call about what’s appropriate. Unsure whether it’s right for your learners? Ask them! Do your learners have the devices to do mobile learning content justice? If you are developing an mlearning strategy to train a remote workforce, will they have the connectivity to access the content? These facts should be considered before any elearning is created. Many new projects never get off the ground because people imagine that they will be huge amounts of work. If you already have learning content, then making it mobile friendly may be much easier than you think. The key to effective mobile learning is often to trim it down to bite size chunks that are conducive to accessing and interacting on a mobile device. The phrase ‘less is more’ really is applicable here. Look at your existing education or training content and ask yourself, “can we repurpose this?”. The beauty of mlearning is that it can be accessed away from the desk. The disadvantage is that’s where other stuff happens – leisure, family-life and where there is connectivity, funny YouTube videos and Facebook chats with friends. With all those potential distractions, it’s essential that once your learners access the content, you grab their attention and keep it long enough for effective learning to take place. Make it easy to use and if possible, make it interesting, fun or even both. Specific, Measurable, Attainable, Relevant and Timed. As with any training, there should be tangible reasons to learn. Unlike traditional classroom training, elearning, when created well, generates huge amounts of user data. If you are working with SCORM compliant tools to develop your mlearning then you should be able to analyse what content is being accessed, engaged with, and understood. The most popular mobile elearning platforms also offer in-depth data and insights into individual performance and aggregate learner data. If any sections cause learners to exit the platform or fail to progress as well, then you know it needs to be looked at. Getting learner buy-in, creating mobile learning and rolling it out are just the start of the process. The best mobile learning strategies include plans for analysis and continuous improvement of content and its delivery. Even an engaged audience may only read 20 to 30% of the words on a page because they skim-read content. On a large screen, this can be easy, but on a mobile phone say, you need to work by scrolling to skim-read, slowing down the consumption of content, which could frustrate learners. Look at prioritising must-have content and make nice-to-have information available in a ‘Further Reading‘ section. Especially if using a mobile network to access the elearning, smaller file size can lead to noticeably faster load times. Compress images and reduce elements that don’t need to be there, as everything within content uses up bandwidth. Especially when learning on the move, the learners environmental conditions may not be as optimal as athome or in the office, so make your mobile learning design as easy for them as possible. Black text is used on white paper in most books and even the majority of websites. This colour scheme and level of contrast has been shown to be the best for legibility, so it might be good to avoid straying too far from this in your elearning design. A font size of 16 to 18px tends to work well across any device. Navigation is often what causes most problems for cross-platform content. Avoid huge menus where you need to scroll through loads of items. Ensure the tap points are large enough for those fingers and thumbs that are less than dainty or well coordinated. Favouring text links within content, as opposed to images, can make the user path both easy to see and easy to use. Find more tips on design for mobile on the Articulate Community site. It’s common to test content on a phone, tablet and desktop PC and assume that that’s job done. However, if your content relies on a web browser (vs a mobile learning app), there can be unexpected variations across different browsers on similar devices. Where possible, test at least across the most widely used web browsers and consider using browser emulators if you don’t or can’t have them installed. Also, bear in mind that there will even be display differences between older and 2018 versions of the same browser! This may seem like a hassle, but it may only take a few extra minutes depending on the length of your content and prevent frustration and complaints from users and many hours of rework down the line. Want some help developing a mobile learning strategy or choosing the best platforms or content developers for your needs? Contact Us at Learning LightYou can also call our experts on +44 (0)114 307 2357 for an informal discussion of your needs.